For removable, translucent braces that fit your budget, ask our Bulimba family dentist about ClearCorrect. This unique system uses customised alignment trays to move your teeth into a more desirable position, without fixed traditional orthodontics. Wear your ClearCorrect braces each day, only taking them out during meals or to brush and floss. Every two weeks, change your aligners out with the next set. Book a follow up visit at our practice every other month to ensure that things are progressing properly and to pick up your next few sets of aligners. In a matter of months, you’ll start to see your smile look straighter without any trips to the orthodontist’s office. Compared to other types of braces, ClearCorrect is relatively affordable. Aligning your teeth now could actually reduce the extent of dental treatment you need later on, saving you money in the process. Most adults that are candidates for traditional braces or Invisalign® are candidates for ClearCorrect. In general, you’ll need to be sure that your mouth is free of active tooth decay and gum disease. How Long Does Clear Correct Treatment Take? Timelines varies from person to person. Most of our patients complete their orthodontic treatment within 12-24 months. We’ll be able to give you an estimated duration at the time of your consultation. 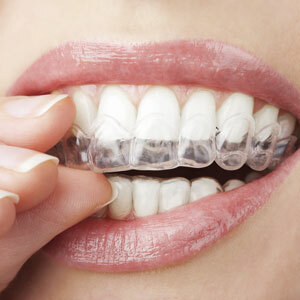 Find out what Clear Correct can do for your smile’s health and your self-confidence. Schedule a consultation today to get started.